Mom was actually an adopted daughter of Roy Shively. She was born to Teresa Millner before she married Roy. But she grew up as the oldest of those nine kids and none of them treated her any differently. As a matter of face most of us were convinced that Kate (my Mom) was Roy’s favorite. 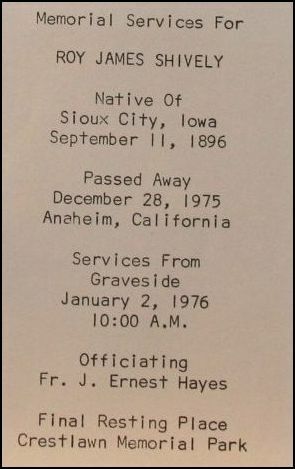 She didn’t find out that she was adopted until 1968 when Teresa passed away. From what I understand Gramma told her on her deathbed. I learned it in 1969 from Aunt Elsie although I’d heard the rumors rumbling after Gramma’s death. 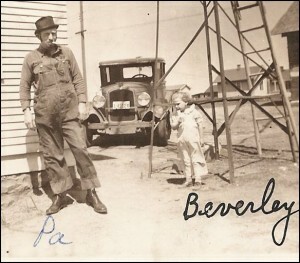 Roy was born on September 11, 1896. My first Grandson was also bornon 9/11 – but in 2002. Even though he wasn’t my blood grandfather, I always thought he was, and I actually loved the old man in a strange way. We all called him “Pa.” That was all. All the grandkids from all 9 of the children just called him Pa. He was a very interesting man. 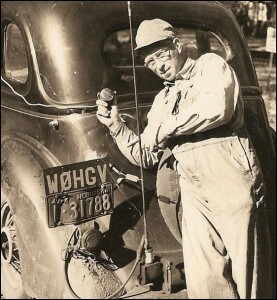 I think he was the first civilian to have a two way radio in his car. He was a big one for the Ham Radio and made friends with people from all over the world. 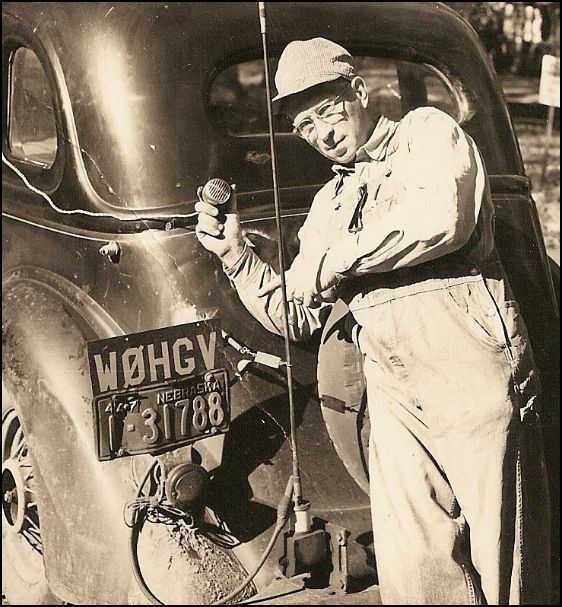 He always had huge short wave radios set up in his home. I remember the one in his garage in Norco California most. Dad always liked him a lot and I have letters that they wrote to each other. 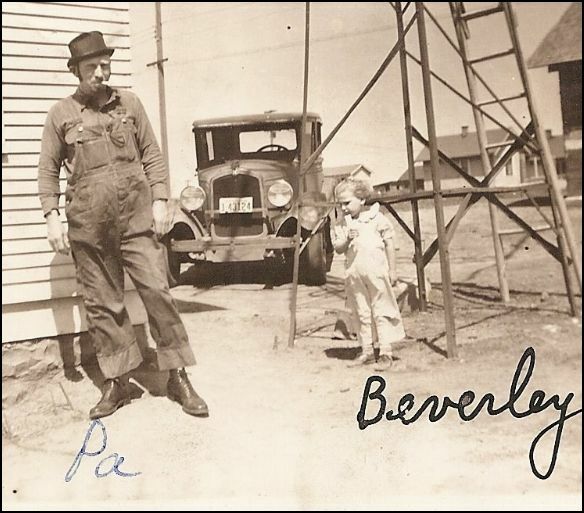 He worked for the UP railroad in Omaha for many years. He retired in the mid 50’s I believe and then moved to Norco, California where he built a new house on the edge of the desert. He had a mountain in his back yard. I don’t really remember too much about him because he moved to California when I was about 5-9 years old. 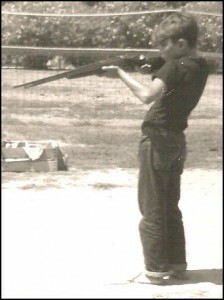 My fondest memory is in 1959 when we visited California he took me hunting into the mountains and then he gave me a 22 4.10 over and under and let me go hunting in the hills all by myself. I came back with two rabbits and he cooked them up in the kitchen and everyone else was mad at him for doing that. But we ate them! He really won me at that time. I gave that gun to someone. I think it was either Steve Shively or Mike Shively. 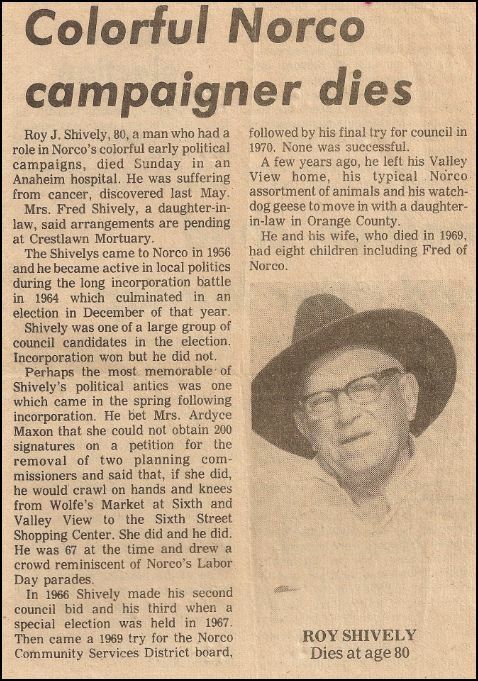 He got wrapped up in politics in the 60’s and 70’s in Norco and made a big deal about water systems and other things that had to be dealt with by communities. I believe he was one of those old conservative guys who hated progress and fought it all the way. He never won an election but he sure did make a fuss. 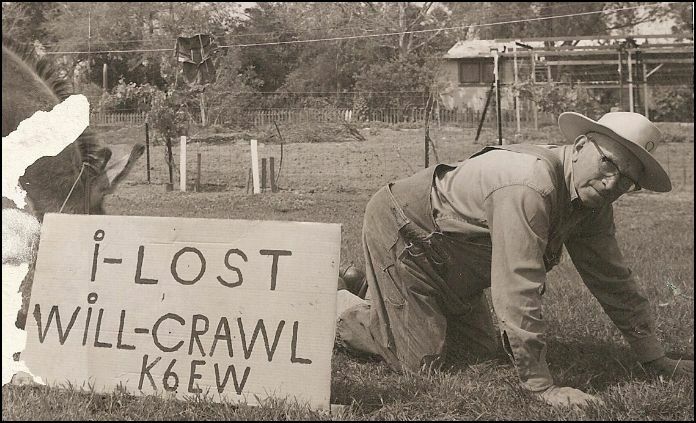 He was so certain that he knew the mind of the people that he promised them all that if he lost he’d crawl the length of mainstreet on his hands and knees. In those days mainstreet wasn’t all that long and it wasn’t even paved, but he did what he promised when he lost the election. In 1968 I made a trip to California just to visit relatives and I arrived at his house the first thing. I came with a friend from the Navy Reserve who had relatives in Riverside. When I drove into his driveway, he came out the door to see who was coming into his driveway with Nebraska license plates. He opened his home to me and fed me chili that I will never forget. It actually made the sweat stand out on your forehead. I was sure my ears were smoking, but I ate every bite of it. All the california relatives warned me not to eat it. But I always did. In his later years he lived in his camper outside of Ted & Dorothy’s house from what I understand. Dorothy ended up being the child to really take care of him at the end. He was dangerous in a grocery store, because he’d steal what he wanted. It wasn’t that he couldn’t pay for it, he just would steal things. Dad told me stories about him doing that. He raised pigeons in Omaha. He sure had lots of them that I remember. 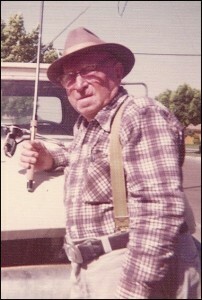 In my home movies post there are several clips of him feeding pigeons on the roof of the Laurel house or on his arm. I don’t know if he had them in California. 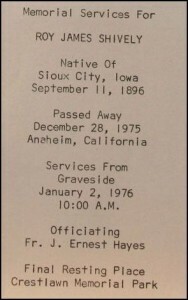 He passed away on December 28, 1975 and is still missed by all the grandkids that knew him. He never knew any of our names. That was fine with us. My, Rita and Dave were simply Katies kids. He did know the names of his 9 children and all their children were simply remembered by who begot them. It was Freddie’s kid, Dorothy’s kid, Beverly’s kid, Johnny’s kid, etc. I never heard anyone care too much about that. We all thought it was funny and never made a bit deal out of it. 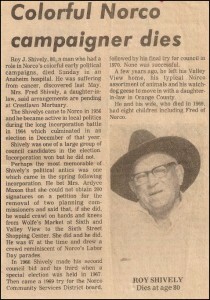 As I close this article about Roy James Shively the 1st, let me mention his father. It was James Shively. 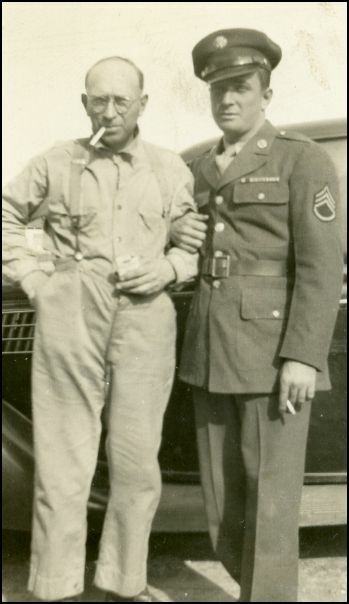 I don’t know him, except in 1951 when we moved to California to live for about a year (a little less actually) the first couple of days there we stayed with ma & pa and I had to share a bed with the old man. I just remember the smell! It wasn’t bad, necessarily, he just had an unusual one for a 4 year old boy. On my home movies post there are a few clips from the early 50’s and late 40’s that he’s in. He was born in Iowa (I’ll have to look that up) and according to family legend he hid Jesse James, the gunfighting outlaw, in his barn when the sheriffs and his posse came looking for him. Who knows!